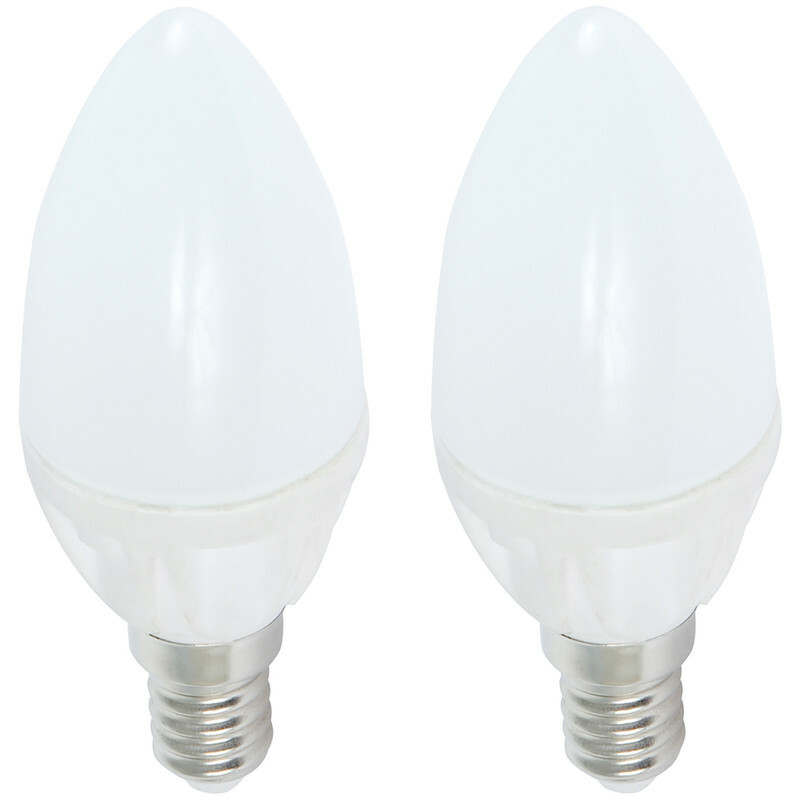 LED Opal Candle Lamp 5W SES (E14) 360lm (2 Pack) is rated 4.9 out of 5 by 21. Rated 5 out of 5 by Marshall from Good quality bulbs. I have now replaced most bulbs in my house with LEDs and my electricity consumption has gone down. Very satisfied. Rated 5 out of 5 by Daz H from LED Opal Candle Lamp 3W BC (2 Pack). Fits well, nice bright warm white that is instantly at the correct brightness when switched on. Rated 5 out of 5 by Taku from Light Bulbs I am happy for buying this bulbs. It was so amazing and lively. Very bright and far better than the hallogen i have. Rated 5 out of 5 by Sam42 from Replacements These were bought as replacement for standard lamps. Impressed. Rated 5 out of 5 by Daz H from Excellent Bulbs, Great Value. Come on straight away and give off a nice white light. Rated 5 out of 5 by 42budgies42 from Great lamps, good price. I bought these to replace 2 old incandescent lamps in our cooker hood. Yeah, I know some people say not to use LEDs in cooker hoods, but my son's are still perfect after 2 years. And the difference these make in terms of brightness and economy is terrific. Rated 5 out of 5 by Fridge Magnet from Lighting Example! Bought a box of these recently.....am seriously impressed. They were a good price and prompt delivery as always. Fantastic product i highly recommend. I will be buying more!